Precinct Three Commissioner James Noack receives green light from TXDOT to make improvements to Rayford at Interstate 45 northbound feeder road, construction to begin in September. Montgomery County Precinct Three is moving forward with their plans to enhance the intersection of Rayford Road at Interstate 45 northbound feeder road. 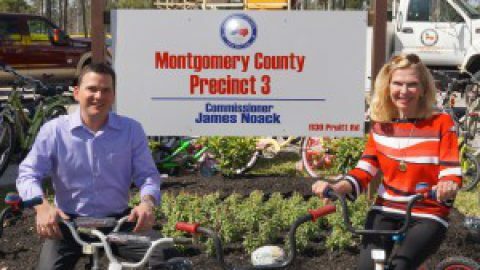 The improvement is wholly funded by Montgomery County Commissioner Precinct Three James Noack and was submitted to the Texas Department of Transportation for their review and approval. The improvement will allow for better traffic flow at the intersection by constructing an acceleration lane which will allow motorist traveling west on Rayford Road to turn onto Interstate 45 northbound feeder road without stopping and merge onto the main lanes of the feeder. 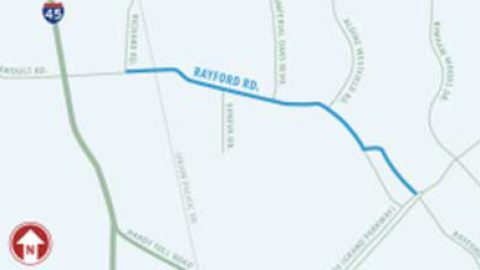 “This improvement is just the beginning of mobility improvements I intend to implement for Rayford Road” said Commissioner James Noack. The construction of this project is projected to be complete by December 15th. For more information please contact Matt Beasley at 281-367-3977.